When it comes down to it football is ultimately a form of entertainment, and watching it is a social activity to be enjoyed with friends, family and occasionally Arsenal fans. As a result you’ll often find yourself enjoying the game with a beer in hand while you cheer on your side and curse the referee with (no-doubt coincidental) increasingly speculative complaints. For the Euro 2016 quarter-finals Box to Box Football have decided to hit the games hard, with Jed Woodcock and I getting beer from each country participating to watch the matches. 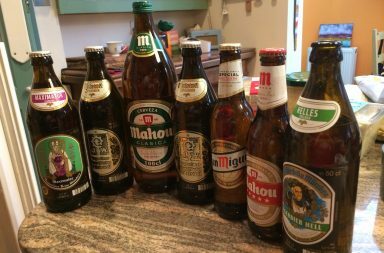 There are some countries that are renowned for their beer and thus are an exciting prospect (Germany and Belgium), some that have brands already fairly familiar in the UK (France and Italy), and some that are just plain intriguing (Iceland). A huge thanks to Beers of Europe, with whom we ordered the majority of our choices for this, the next day delivery proving a life saver! We intend to taste and drink the respective beers during the four games, and compare our favourites for our own Euro 2016 beer competition. 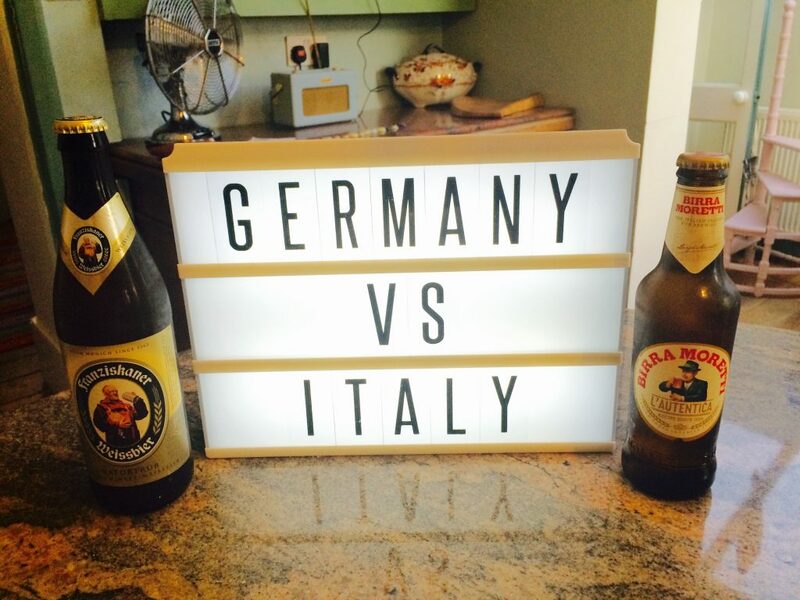 Will the favourites on the pitch be the winners in the pints? On the off-chance that we stumble across a beer that proves to be a struggle, we’ve also bought three impact substitutes. From Germany we have Weihenstephaner Hefe Weissbier, which RateBeer voted as the best German wheat beer around – always promising! Secondly, we have Bacchus Kriek, a sweet raspberry beer from West Flanders that came in a strange-looking wrapping that made it look more like champagne. And lastly we have Żywiec, from off-license near my house which I don’t have much to say about, other than confirming that it is Polish. At least I won’t have to drink any Carling now that England are out… Hold on, Carling was founded in Canada?? 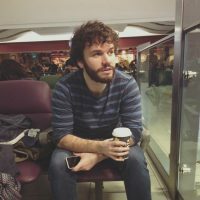 Jed (First Half): It is hard to say no to an idea which puts together beer and football. For the match and beer reviews Ollie and I will cover alternating halves of the games whilst comparing the two competing beers. Simultaneous with cracking open the first beer of the competition, the Tyskie Gronie, Lewandowski provided a lethal finish to fire Poland into the lead in just the first few minutes of the match. Like Poland’s performance on the pitch, the beer was solid, standard and nothing spectacular. There were no ridicilous failed attempts of outlandish skill by the Polish players, and there were no nuances of nutmeg or hints of citrus with the Tyskie Gronie. 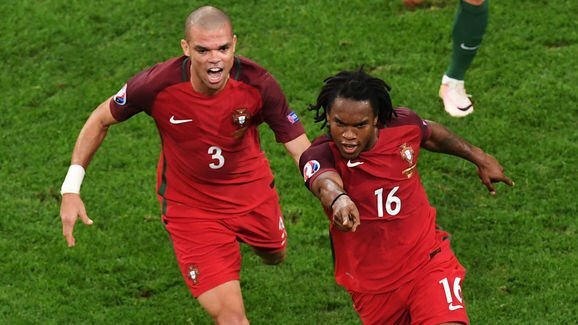 Whilst Ronaldo was meant to be the main threat in the game, Renato Sanches was the star for Portugal. Sanches provided the equaliser with a thumping deflected left-foot shot from the edge of the area. Sadly, the beer wasn’t as exciting as Sanches, and lacked the balance he did. The Portuguese Sagres seemed less of a beer replicate of Sanches and more like the manager himself, Fernando Santos, an ageing predictable beer with the tiniest hint of lime that makes you think that maybe – just maybe – there is something more to the beer. Light and refreshing? Or pretty bland? It’s hard to decide. The label reads ‘Excelencia Comprovada‘ – which I’m guessing means excellence compromised, fits both the beer and the team. It turns out to be same when comparing beer. 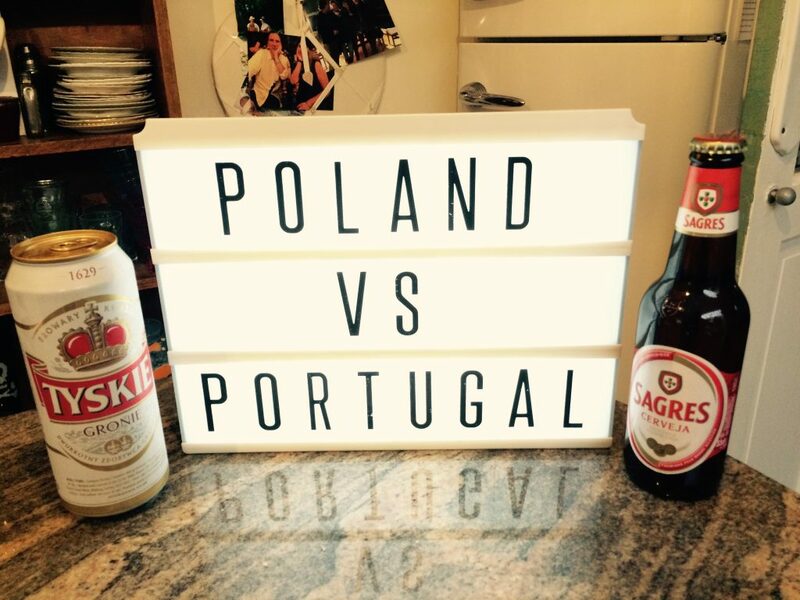 The Polish Tyskie Gronie and the Portuguese Sagres battled it out for the majority of the match, only for a late German substitute, Weihenstephaner Hefe Weissbier to go on and win it. The hazy golden orange German beer was a cut above the rest, with an almost banana-like taste. Ollie (Second Half): I’ve realised early on that I have got second half duty for the games most likely to go to penalties, which may be a bit of a poisoned chalice. Poland opened our beer competition with Tyskie Gronie, a solid if unspectacular start to ease my way into the second half after a fairly exciting opening 45 minutes. I don’t remember a single thing happening in the second half, both sides seemed to be playing for penalties. My sister flicked to Love Island at the break after full-time and it genuinely seemed to have more tension than the second half of this match. I suppose there was a moment when a guy ran on the pitch during extra-time, but that’s honestly it to my (admittedly drunken) memory. We also realised after 94 minutes that we weren’t watching the game in HD, despite having that option… And I thought it was the beer goggles. The Portuguese offering of Sagres was the first disappointment of the evening, I wasn’t a great fan of it in comparison its Polish counterpart, which resultantly earned a solid 2-0 victory from Jed and I in our beer competition. It is perhaps understandable if wine and port get more attention in Portugal, but after finishing the Sagres I brought on the superstar striker from Germany known as Weihenstephaner Hefe Weissbier. This beer was fantastic; great flavours while not being overwhelming or too heavy, and apparently it comes from the world’s oldest brewery dating back to 1040. This was a great help when we finally crawled to the penalty shoot-out, which proved to be my second disappointment of the evening. The plucky Polish team lost to Portugal, who have yet to win a game at Euro 2016 in 90 minutes. Poland can take some consolation in their superior beer I hope, but despite winning that battle… they have lost the war. Ollie (First Half): Thank God this was a Friday night game, because it had the makings of a heavy one. I started with the Belgium beer called Westmalle Tripel. Known as the ‘mother of all tripels’ (hopefully this isn’t referencing the nature of my hangover on Saturday), Westmalle Tripel is fascinating prestigious Trappist beer, made by monks in Trappist breweries of which only eleven exist in the world (six in Belgium). This beer is also noteworthy for being an eye-watering and headache-inducing 9.5%. It was extremely tasty though, didn’t feel strong as you were drinking it and overall it was thoroughly enjoyable, especially with the burgers we were demolishing from the barbecue. Radja Nainggolan scored an absolute screamer for Belgium, and it seemed like Wales would be in for a torrid night. Jed (Second Half): Somehow I managed to miss nearly every goal in this game, I’ve even forgotten which goals I actually saw in real-time. Beers aside, the Welsh performed admirably proving themselves to not just be a match to the Belgian’s so-called golden generation but worthy victors. Robson-Kanu scored a Messi-esque goal as he wrong-footed half of Belgium whilst Vokes scored a superb header soon after coming off the subs bench. Whilst Welsh football has come on leaps and bounds since losing to Cyprus in 2005 and 2007, the beer is more akin to results of the past. The Brigid Fire from Caerphilly claims to have found perfection wisdom through eternal flames, but instead the smoked beer just left a bad taste in my mouth. The Belgian counterpart, the Westmalle Tripel, went down a lot better despite the dangerously higher percentage. The beer was so smooth it was hard to stop drinking it and the entire feel from start to finish was of pure enjoyment. An early shout for Most Valuable Beer (MVB) of the tournament. 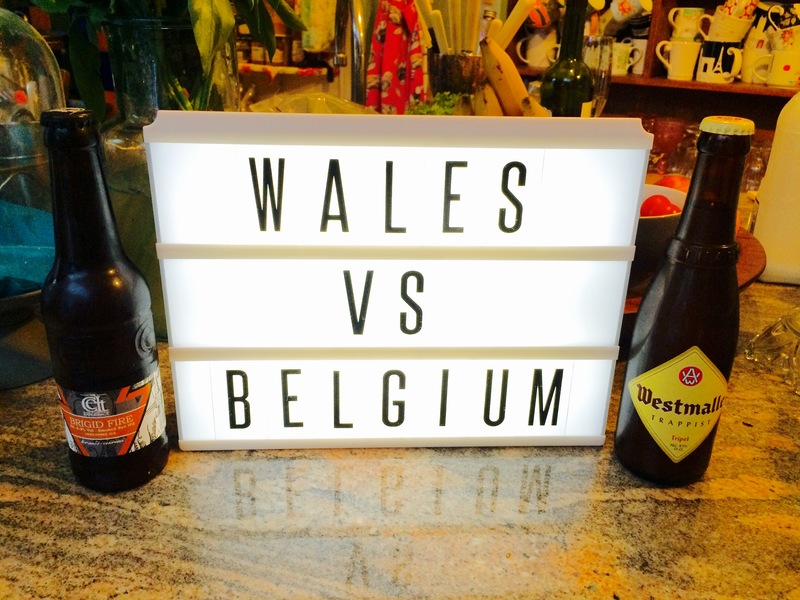 Whilst the Westmalle Tripel performed to the same levels of Belgium’s 4-0 dismantling of Hungary in the previous round, the Belgian team couldn’t against Wales. The late beer substitute had a similar impact to Sam Vokes, securing a well-deserved win albeit for the Belgians. The paper-wrapped Bacchus Kriek beer apparently contains 15% natural raspberry juice and reminded me of many fruit crumbles that my West-Country Mum has cooked over the years. A pleasant beer to round off a pleasant game. Jed (First Half): Supposedly the match-up of the quarter finals, the first half provided nothing of note. Maybe a good clearance or a half decent shot on target. Other than that the two European heavyweights cancelled each other out resulting in a slightly boring first half. Luckily for us, the beer was a complete contrast. First came the great looking Franziskaner Hefe Weissbier which would admittedly look even better beside a currywurst in a Biergarten. Unlike some of the football on show, the beer was well executed, light yet had a solid taste. The opposition came in the form of Bira Moretti, a beer, like the national side, that I wasn’t expecting much from coming into the tournament. The Bira Moretti proved to be somewhat of a diamond in the rough of Italian beers (Peroni aside) and was arguably as good as the Weissbier. The Mafia boss-like label fit well even if the beer lacked a little Italian flair. Probably would look best next to a stone-baked pizza in any rustic Italian town. Ollie (Second Half): After a mixed night beer wise but a great game yesterday, tonight we appeared to have gotten the opposite. Both teams were seemingly cancelling each other out on the pitch, while the beer went from strength to strength. Franziskaner Hefe Weissbier was my favourite beer yet, all the great flavours that the Weihenstephaner had, but slightly milder and therefore easier to have as a casual drink. Bira Moretti was also excellent, so no complaints here at all really, all were brilliant but if I had to choose one then I guess the German beer just about edged it. Mesut Özil put the Germans ahead before Leonardo Bonucci equalised with a penalty. 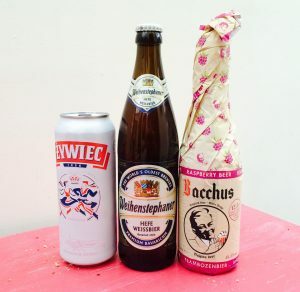 We were getting through the bevvies a lot faster tonight, so it wasn’t long before the Weihenstephaner Hefe Weissbier was again introduced, and even the solid Żywiec made a late appearance. As the night went on I wondered whether it’s time to change things up and, dare I admit it, swap to cider. No, I had to be strong, and penalties were coming. This penalty shoot-out was utterly bizarre but highly dramatic. Of the 18 taken only 11 were scored, a huge surprise given the reputation of both teams in shoot-outs. Special mention goes to Simone Zaza, who was subbed on in the last seconds of extra-time only to sky it after the weirdest tip-toe run up I have ever seen in my life. I found myself replicating it hours later as I drunkenly tried to sneak to bed without waking up the rest of the house. A close second fail mention goes to Graziano Pellè for trying to psyche out the goalkeeper – only to tamely put his shot wide. In the end the result was exactly as I predicted in our Euro Sweepstake Preview, which is no consolation given that Italy are my sweepstake team… Oh well, maybe next time. Ollie (First Half): The sun was out on Sunday, so that involved a surprise 12th man coming in the form of three pints of Peroni before the final quarter-final match had even kicked off. After watching Iceland vs Austria live last week, I was rooting for another surprise win for the team that has become one of the stories of the tournament. Their fans are just fantastic, and it’s unbelievable how well they’ve managed to do, regardless of this quarter-final result. I was also really intrigued about trying Icelandic beer, brewed with pure Icelandic water. The image has crossed my mind of someone capping a bottle next to a geyser, not sure how accurate this is though… I had the choice of Einstök White Ale, or Einstök Pale Ale – is there a difference between white and pale? Unfortunately, France really showed up to the party in this game and were 4-0 up at half-time. Antoine Griezmann is looking the real deal, and with Mats Hummels suspended there may be more holes in the German defence than usual. And I suppose as Jed and I are Spurs fans, it’s nice to see Hugo Lloris leading a team to the late stages of a major tournament. 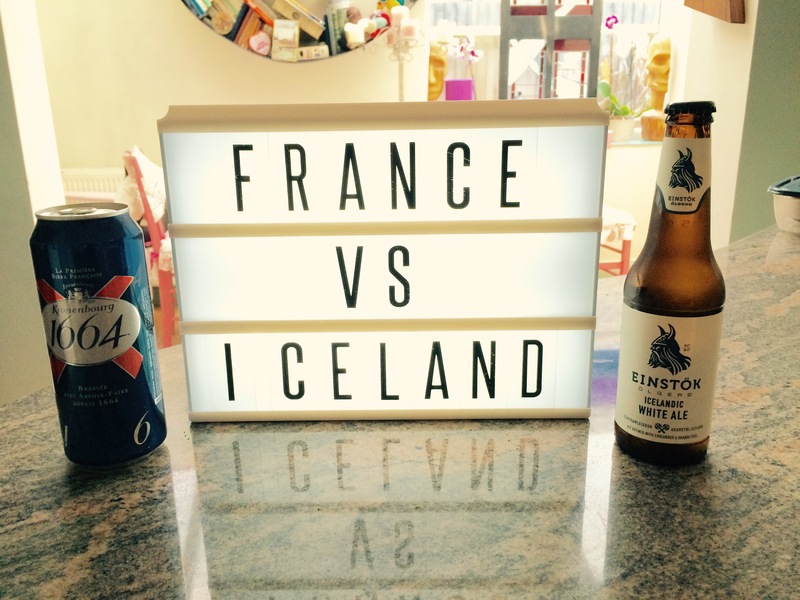 The beer was a closer fought competition than the first half here – Kronenbourg happens to be one of my favourite beers, so it was an old reliable really. Einstök White Ale was good if very mild, so I now find myself wanting to try the Pale Ale variety… Iceland now really need to qualify for World Cup 2018! In the short term however, I would love it if they could peg a goal back. Jed (Second Half): Coming into the quarter finals, the Einstök White Ale was the beer I was most intrigued by and the one I was looking forward to the most. The Viking labelled ale was crisp and clean with a refreshing taste although it took a while to liven up – much like the Icelandic football team. 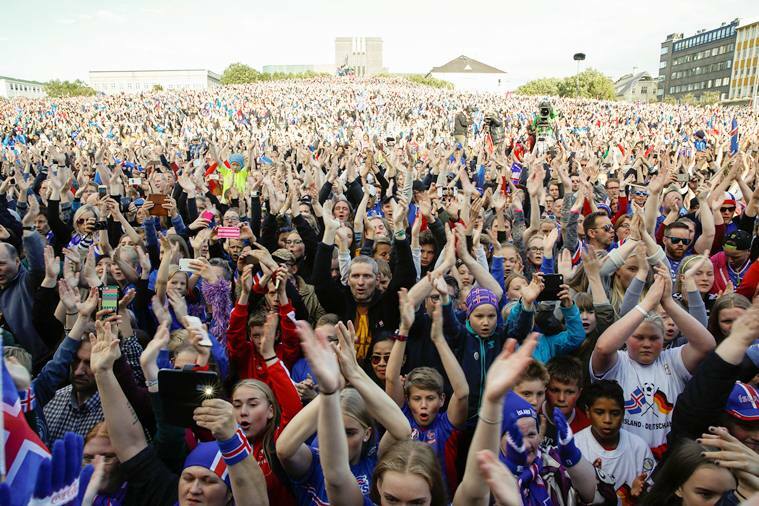 Four goals down at half-time and Iceland looked set for embarrassment on one of the biggest stages in football. Tell that to the thunderclapping fans and the two coaches who somehow managed to motivate the team to come out revitalised after the break. Two well-taken goals from Iceland sandwiched a solitary second half goal for the French. 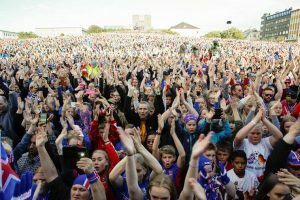 Each Icelandic goal was greeted by a chorus of ‘huhs’ from even the non-football lovers in the room. The ‘huhs’ of the thunderclap even half-heartedly made their way to a Band of Horses concert last night in an attempt to get an encore. Now onto the France – home of amazing foods, pastries, fine wine, art treasures, footballing heroes… great beer? Not if this is their gold standard. Don’t get me wrong, Kronenbourg is a very good beer but if this is the best those across the channel have to offer, I must say I’m a little dissappointed. Ollie: It was a great long weekend of matches, particularly Wales’ victory over Belgium. 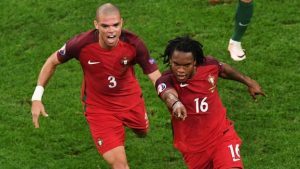 It has set up a potentially barnstorming semi-final against Cristiano Ronaldo and Portugal. In the other half of the draw France vs Germany promises to be an even bigger match, arguably the two favourites for the tournament finally facing off against each other. Personally I’m hoping for a Wales vs France final, and I think both semi-final games will be very tight. I said before the quarter-finals that whoever won the Germany vs Italy match would win Euro 2016, and I stand by that statement. 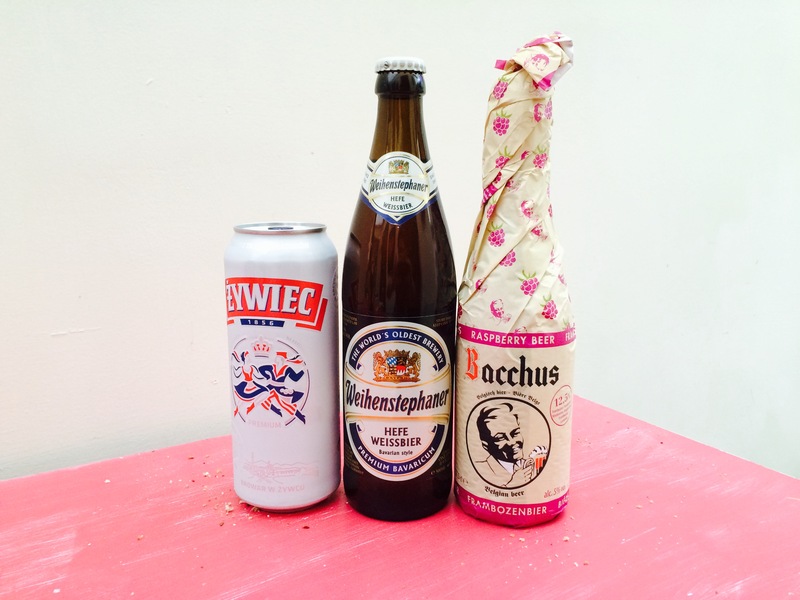 This statement also extends to my Most Valuable Beer, my MVB even – Franziskaner Hefe Weissbier edged out some other excellent beers to triumph as the beer of Euro 2016 for me. 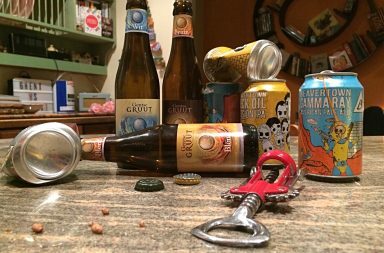 After nearly fifty beers in four days between us, it’s fair to say that everyone was a winner really. Jed: Something in the water. Or maybe something in the beer. 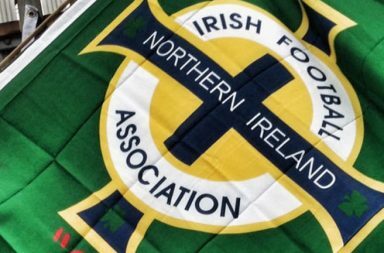 13 out of the 15 goals scored in the quarter finals were scored while we drank that country’s beer. If this is true I might just have to brave the Brigid Fire once more. I couldn’t look past the outstanding Westmalle Tripel from Belgium. I also really hope the Welsh stop excelling at football or rugby for long enough to brew a decent beer. To order a range of beers around the world, go to the extremely helpful www.beersofeurope.co.uk. Enjoy the rest of the tournament everyone!